Parks filming The Learning Tree, 1968. 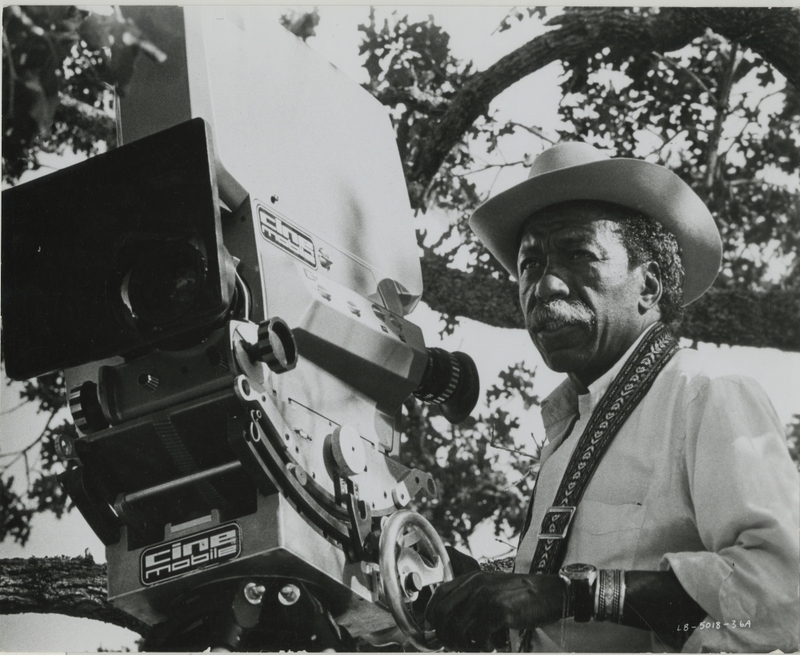 Encouraged by acclaimed film director and friend, John Cassavettes, Gordon Parks wrote, directed, and scored the first major Hollywood film to be directed by a black American, The Learning Tree (1969) based on his semi-autobiographical novel of the same name. By this point, Life magazine’s halcyon days were drawing to a close and Parks became increasingly involved in directing films. He would go on to create short documentaries and direct such iconic films as Shaft, along with bio-pics depicting the lives of significant black Americans, such as Leadbelly and Solomon Northup’s Odyssey.